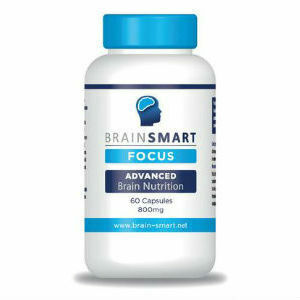 Within this review, we will investigate the supplement BrainSmart Focus. This product is supposed to be good for treating ADHD and ADD as it improves concentration, lengthens attention span, and reduces hyperactivity, restlessness and mood swings. It calms the mind, reduces aggression and impulsivity while also bettering focus and alertness. Acetyl-L-Carnitine has been shown to improve alertness, attention span and concentration, and reduce aggression and hyperactivity. Ascophylum Noodsum helps regulate the overall activity of neurotransmitters as well improving mood, emotional well-being, concentration, focus and attention span. Maca Root Extract helps to deal with stress, mood disorders, panic attacks and anxiety. Green tea contains vitamins that can boost energy and alertness, leading to an improvement in concentration and focus. Guarana boosts energy levels as well as concentration and focus. Ginkgo Biloba, a common ingredient in traditional medicine, is supposed to better concentration and memory. Acerola promotes healthy neurotransmitter activity. Omega-3 Extract is believed to stimulate alertness. Green Coffee Extract maintains proper circulation, nerve and brain functions and enhances focus and concentration. Focus is gelatin-free, gluten-free, lactose-free and GMO-free. It is not stated to be vegetarian and so it is uncertain whether it is or not. The vegetarian capsules do not automatically mean that it is purely vegetarian. This product is safe for children. Two (2) capsules should be taken per day, preferably with meals. It is not stated whether the intake of capsules should be spread out so it can be assumed that the dosage is two capsules taken together. If in doubt, consult your medical practitioner. BrainSmart claims that Focus has no side effects. However, those on medications or with any sort of health condition should consult with their medical practitioner before taking Focus. If you have any adverse symptoms from the use of this supplement then cease using it immediately and consult your doctor. Focus costs $38.02 for a 60-capsule bottle. This works out to 63 cents for each capsule. BrainSmart offers a special offer that allows you to buy three bottles for the price of two. The purchaser must simply add the code FREEFOCUS when they go to pay for items on BrainSmart’s website. This would mean that each capsule cost 42 cents. This may be a limited time offer. It has free shipping charges worldwide. BrainSmart has a guarantee for its products. However, they only appear to offer a refund to first time customers. The item must be within 30 days from the date of placing your order. If more than one bottle is ordered than the additional bottles must be returned in their original condition within the 30-day period. The manufacturer must be contacted to get a Return Merchandise number (RMA) and this number must be clearly visible on the return package along with the UK address provided on their website. The price of shipping will be deducted from the refund if the item was shipped to you free. Return shipping costs will be paid for if the return is due to the manufacturer’s error. Re-order voids the guarantee. Focus garnered very positive reviews, earning a 5-star rating on BrainSmart’s website although the number reviews were relatively small, meaning that it is difficult to determine if it is an accurate reflection of customer satisfaction. Overall, satisfaction seems to be high. This supplement has a low price compared to similar products. Although this seems like excellent value, especially when the special offer is taken into consideration, it may reflect the use of poor quality ingredients during manufacture or low strength. However, BrainSmart has received GMP Certification, meaning that they must have used quality ingredients. Focus also seems to be suitable for a wide range of people who might normally have issues taking nootropic supplements like those with ADHD or ADD, vegetarians, celiacs or those who are lactose-intolerant. Their guarantee seems fair although it has a number of strict guidelines. If initial shipping was delayed for whatever reason then the customer may be unable to qualify for the guarantee. They may wish to wait for a month to try the product, which would cause them to be unable to qualify for the guarantee when shipping is taken into account as well. No possible adverse effects are stated by BrainSmart in relation to this product but there is still the possibility of an adverse reaction and this should be stated somewhere by the manufacturer. Focus seems to be a difficult product to come to any solid conclusions about as it has its pros and its cons. Henry Costa	reviewed BrainSmart Focus	on November 20th	 and gave it a rating of 3.